UK-headquartered start-up Effective Space aims to put up its first satellite servicing "drones" in 2020. 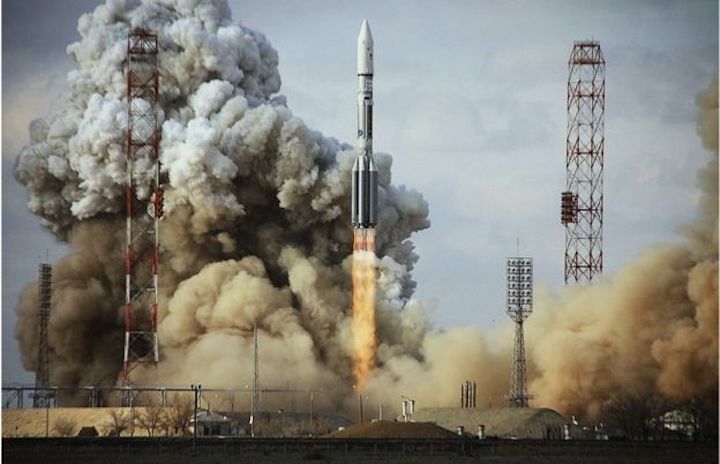 The company has announced an intent to contract with International Launch Services, which manages the commercial flights of the Russian Proton rocket. Two drones will be lofted together. Effective Space already has a deal to send the washing-machine-sized systems to go latch on to two satellites that are running out of fuel and take over their station keeping duties. This will extend the satellites' lives and the revenues they supply to their as yet unnamed operator. 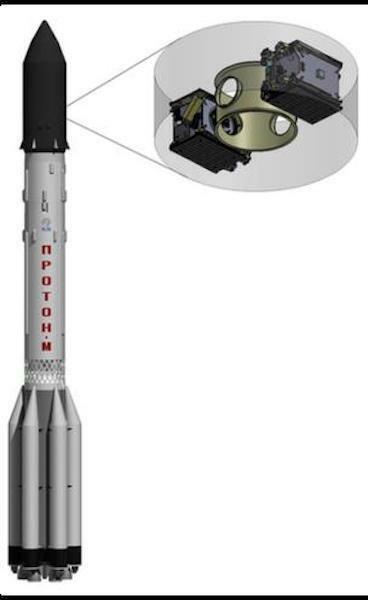 It will be July before pen is officially put to paper on the ILS agreement, but Effective Space says it is keen to use the Russian vehicle because it is one of the few rockets capable of placing payloads directly into a geostationary ("geo") orbit 36,000km above the Earth. Normally, new spacecraft are dropped off in a "transfer" orbit and spend some time lifting themselves to their final destination. But getting on station quickly is important in this instance for Effective Space. "This allows us to execute our contract with our first customer on time, because when we launch our first drones directly into 'geo' it actually saves us six-to-eight months of orbit-raising," Arie Halsband, founder and CEO of Effective Space, told BBC News. The low-cost drones are designed to be compact (1m x 1m x 1.25m; 400kg) and one way to achieve this is to use electric propulsion. This fits in a very small volume and provides thrust by ionising and then ejecting a gas. It is an efficient technology but works best over longer timescales. Sending spacecraft to service older satellites has long been talked of as a concept but only now it seems are companies seriously developing business plans to put the idea into practice. A big, modern telecommunications satellite can cost upwards of $300m over its 15-year design life, and so for the operator it might make good economic sense simply to attach a small servicing unit to handle manoeuvring tasks when the fuel supply starts to run low - rather than go to the expense of launching an immediate replacement. If Effective Space can produce its drones at a very competitive price, the case for this kind of life extension work will become more attractive. After the initial drone pair go up in 2020, Effective Space says it aims to launch up to six of the units per year. These vehicles would be engaged in a range of jobs, including moving satellites to new locations, and bringing defunct satellites out of obit. "What we see is a growing interest and demand for our services," said Arie Halsband. "We'd like to have a mix of pre-signed, contracted spacecraft, and some that are free to enjoy opportunities." Effective Space is part of the wave of so-called "new space" companies that have sprung up in recent years. Effective Space, for example, has its roots in Israel and maintains R&D facilities there, but the UK is the place it wants to make its operations centre. The drones would be controlled from Britain. A supply chain for the manufacture of the spacecraft is being put together right now. It is known that one Spanish company, GMV, will be involved in testing and software development. And a prime contractor to lead the overall construction of each drone has been identified although not yet named. 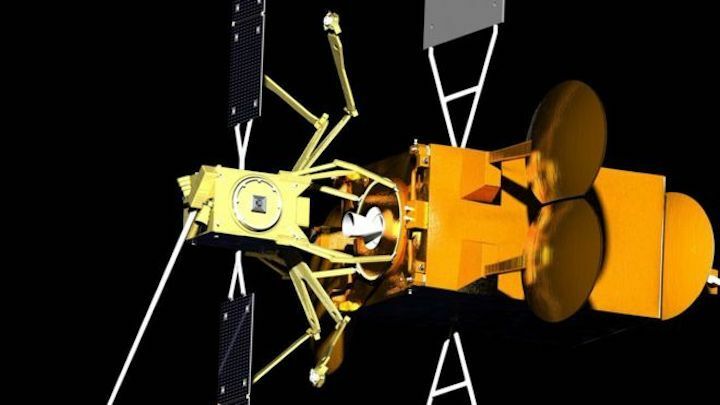 "While there is no final contract signed with that prime contractor, budgeted work has begun so it means the clock is ticking," Daniel Campbell, the managing director of Effective Space, told BBC News. The company is attending the big annual satellite industry conference, Satellite 2018, held each year in Washington DC.